Where to bet in Singapore 2019? Is gambling legal in Singapore? Sadly, No. 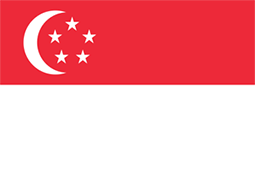 Gambling is no longer legal in Singapore by the Remote Gambling Act in October 2015. This new law made all gambling website and mobile application illegal. Hundreds of gambling websites has been blocked. Anyone who break the law could be fined up to $ 5, 000 and/or in prison up to 6 months or gotten both punishment. Where to bet in Singapore? We are not recommend anyone from Singapore to register bet inside Singapore because it’s very risky. But if you travel outside frequently why not bet. Even though you access the gambling site for now, the government may block in the next day that make all your stake amount gone. It’s can be risk free if you bet while you travel outside Singapore. If you’re ready for taking risk, try to find some VPN browser to access the block website. You can always earch internet for how to get access on the block website. Government of Singapore has block hundreds of adult entertainment websites lately. Recently by the new gambling act, the country blocked hundreds of sport betting and gambling website that covert to the real money example: Betfair, PinnacleSports, Ladbrokes, Bet365 … May be the country is still on process of blocking more website.